Parking is available on local streets, check road signs for time restrictions. 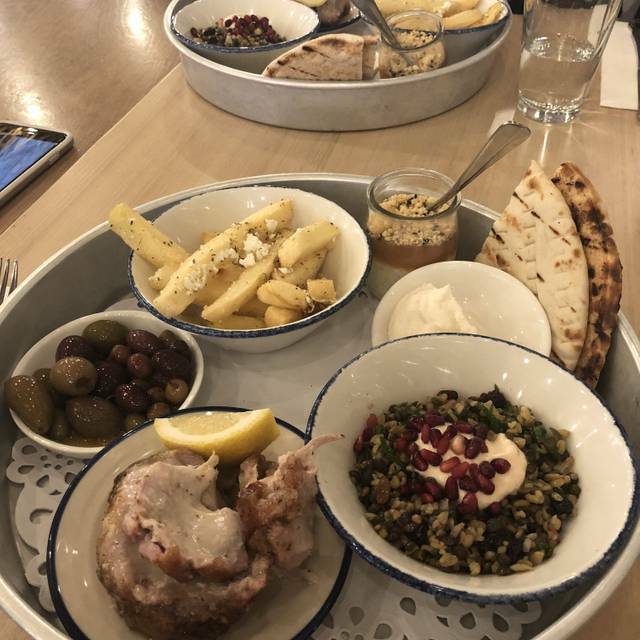 If you’re looking for a taste of authentic Greek cuisine, you can’t go past Hellenic Republic – the best Greek in Melbourne. 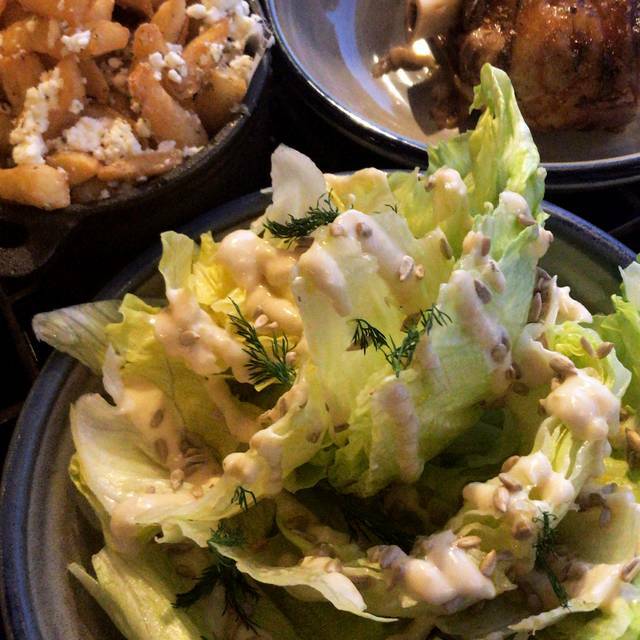 Here at Hellenic Republic, we work hard to ensure your visit is a unique and memorable experience. When it comes to Greek cuisine, our philosophy is to keep things simple. We source the best fresh and flavoursome produce from Greece and Melbourne to create authentic recipes in a clean, modern style. To ensure you get to sample the best our menu has to offer, we recommend our sharing group menus - the Trapezi or Athenian. Our chefs prepare a selection of the finest dishes on our menu for you to share with your loved ones. 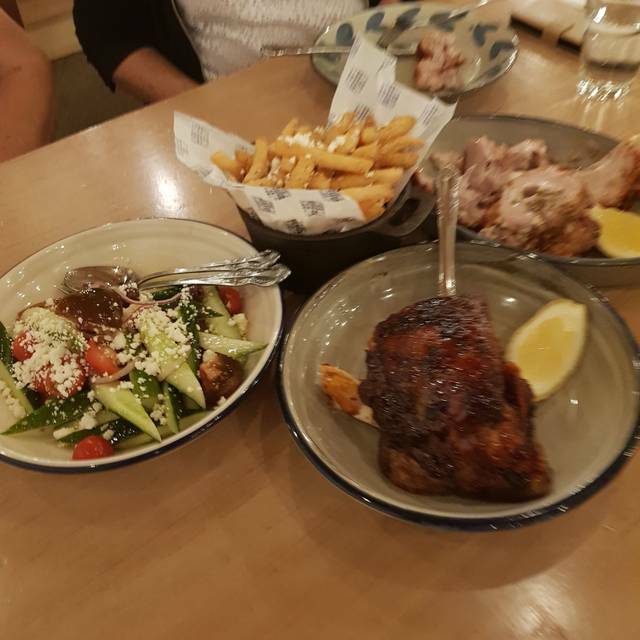 It’s the only way to enjoy a taste of authentic Greek in Melbourne. 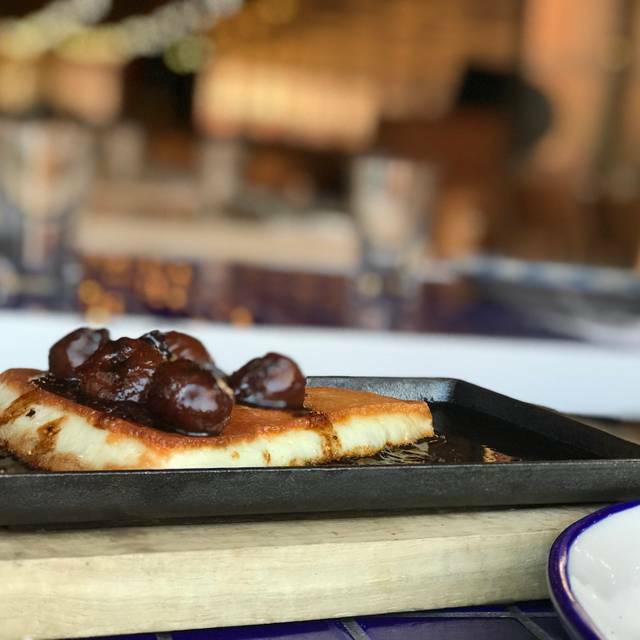 Hellenic Republic Kew is the second addition to the Hellenic family, open for lunch and dinner 7 days a week. Fabulous service and wonderful food. Perfect evening thank you. Were not prepared for a vegan guest even though it was specifically requested at the time of booking. Levi was a fantastic waiter and the food was delicious and we even got to see George on that particular night! ThankYOU for an amazing evening! ThankYOU for being so accomodating! We loved everything especially the food. 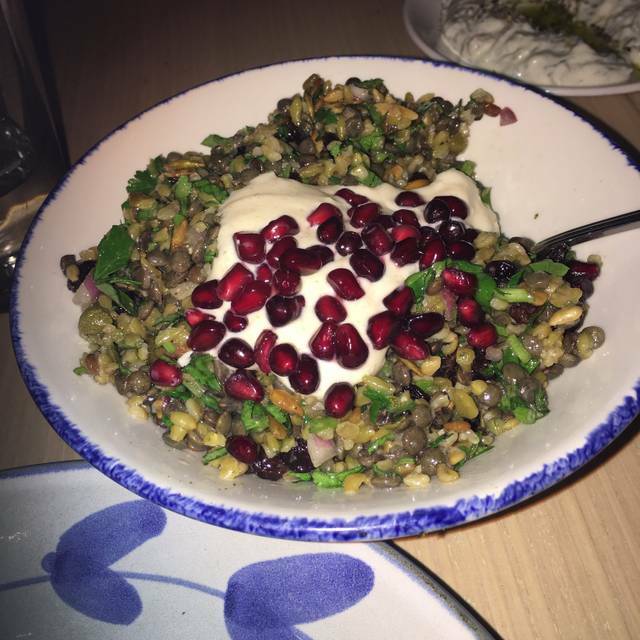 Greek food with a modern and international twist! The menu was quite pricey, though I would return for the banquet next time. Taramasalata was exceptional! Thank you for having us. All the best in future success. Whilst food was of a good standard, we were told that certain selections were unavailable. After speaking to management, this somehow miraculously changed - poor look. I spent over $700 at the restaurant celebrating a birthday, including a $200 bottle of Champagne, a $135 Pinot and a $90 Chardonnay. The restaurant kindly presented a birthday candle positioned on a small "cake" about the size of a coin. This was an embarrassing look! The final straw was when the bill arrived and I was asked how I would settling. I waived my credit card and the bill disappeared and returned with an extra surcharge added......hopeless and greedy!! All the food is cooked correctly, nothing over or undercooked, and beautifully balanced and presented. Everyone, even the kids, devoured their meal. It is a little loud inside, the room bounced sound around. We will be back. Would definitely go again, food was incredible but it was absolutely sweltering inside. The lighting and ambience is lovely but they only have air con by the kitchen and everywhere else was hot.. I don't think they use LED lights (beautiful lighting) and that's probably why the place heats up so bad. Amazing food!! We ordered one of the banquets, but due to dietary restrictions they were able to come up with alternatives for a couple of the dishes. The service was fabulous. We were looked after by Tom, our waiter, who was an absolute delight and very personable. Have already recommended to friends, who are looking forward to it!! The lamb dumplings were to die for! great place for special family celebration dinner. food we all loved. share plates are awesome. A bit over priced for what you get. Food is good but prices a bit steep. Food was amazing, service to start was excellent, we ordered the banquet and it seemed after the meat was delivered we were forgotten about. We had to flag down a waiter yo clear table and get dessert. Noise level was very high and it was hard to have a conversation. There is no doubt that the food is amazing. We arrived for a 7.45 dinner. Ordered fairly quickly entree and mains. One of our friends had an onion allergy and figuring out what she could and couldn’t eat wasn’t very easy with the staff. Our food didn’t arrive until almost 10pm which really is unacceptable. Yes we understand the moussaka was made to order however all of our entree and mains arrived in one big hit. Not that difficult to throw some bread and dips at us before a main. Drink orders took forever also. One of the male staff was incredibly rude and arrogant and honestly shouldn’t be on the floor working. This was my first time at Kew after having been to Brunswick plenty of times with no issues and to be honest I’d rather travel the extra kms. We loved the food especially the lamb. Too noisy and a bit overpriced. Hostess Chloe was efficient and engaging, available at the right times but not intrusive. Found staff overall to be approachable and warm. Good service makes the food taste better. Suggest you improve the dress code and it may look a little more high end. Service was excellent however and food was very nice but not outstanding. I would recommend it for a casual lunch or casual dinner but not an 'experience'. I didn't realise it was casual dining so perhaps it was my mistake. We’ve been here a number of times and it is always excellent. The food is the standout, but the service is excellent and unobtrusive. The banquet menu is a winner and takes away the hassle of choosing. Great restaurant. I wouldn’t recommend for lunch, menu was so limited and it’s very noisy. Great service, but we enjoy traditional Greek food. Great to try though. I'd been before but not in a long time - and I won't be going again. Went for my birthday - what a pity. The service was non-existent; as in, our main server wouldn't even look at us, let alone respond or actually volunteer anything about the food or drink. The space lacked charm - felt more like a cafe than a restaurant. When the bill came, I couldn't help but wonder how far my money would've gone for me and my three guests if we went to a Greek eatery where they actually take pride in hosting customers. While the food was fairly tasty, we went with a banquet yet didn't get an ounce of lamb. Isn't that why you choose Greek? The chicken was good, but does that constitute 'meatS'?! 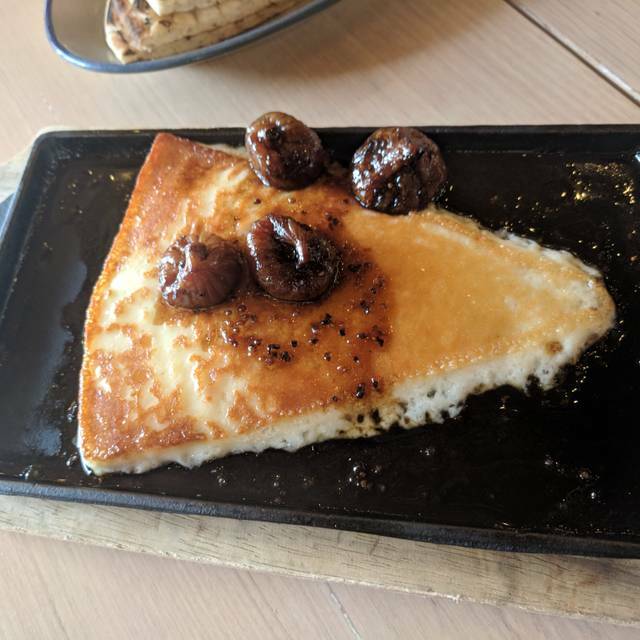 Honestly, I live closer to The Greek Spot in Hawthorn - and they take the baklava over this joint! Spend your hard-earned dollars elsewhere. Always a lovely treat for a family birthday celebration. The lamb is just wonderful! LOVE this place, haven't been here for a while but returned as was so happy the food was as good as we remembered from our last visit. Highly recommend the pita with cod roe dip, saganaki with figs and the lamb shoulder with any of the salads, yum yum yum. Awesome food and atmosphere. The staff were amazing and friendly. Great experience!! Firstly we requested a 6.30 reservation but it was not available. We took a 6.15 seating and when we arrived the restaurant was almost empty. By 6.30 there were maybe 4-5 additional people and by the time we left it was barely 20% full. Secondly even we appreciate that it is a Greek restaurant the continuous, very loud Greek music was annoying and we could barely have a conversation. Thirdly the food was average and the chicken especially was overcooked. It should be renamed Hellenic Cafeteria or Food Hall as that is what it feels like. Slow to be seated as long line of people waiting to be seated. Mains then took over 1 hour to come out after entrees cleated and called away. Outstanding food. Price is not cheap but food is well worth it . Wines very expensive so we stuck with beer. Service was excellent and eccentric! Wonderful lamb and wonderful scallops. We had the banquet version and thankfully there were good breaks between service. Look forward to another visit. Highly recommend. Ambience was good and the staff were very friendly and professional, however the food was far too salty, to the point that we returned many of the dishes. They were responsive to our feedback and discounted the bill for the courses we did not eat.